The Canadian Welders Bureau (CWB) is an industry supported not for profit organization offering welding certification and training services. Pipeworx is proud to announce it has been certified for the CWB QualityMark Program. Among the requirements for the CWB QualityMark Program is the company must employ certified welding supervisors to oversee welding operations and control all welding performed on client’s projects. 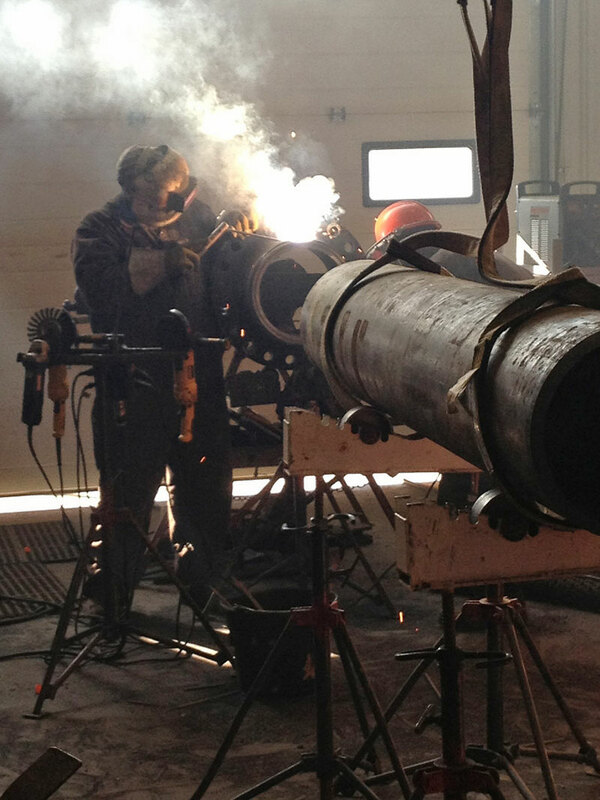 The certified Welding supervisors insure Pipeworx welding procedures and processes are current and CWB approved. The weld quality and workmanship meet or exceed the levels specified by the design or product standards. The goal of CWB is to enhance public safety through ensuring high quality and reliable welded structures. The “WeldQuality Mark” allows companies that meet the stringent requirements to display the CWB indicator/logo. High Standards – The company meets or exceeds Canada’s rigorous and internationally recognized welding standards. High Quality – Provides industry with a third party stamp of approval, knowing the quality is high and the company maintains proper procedures. In other words, doing it right the first time. Safety – Certification means an added level of confidence and assurance that the documentation, weld quality and knowledge level is independently verified against the established standards, and thereby minimizes liability and safety risks.